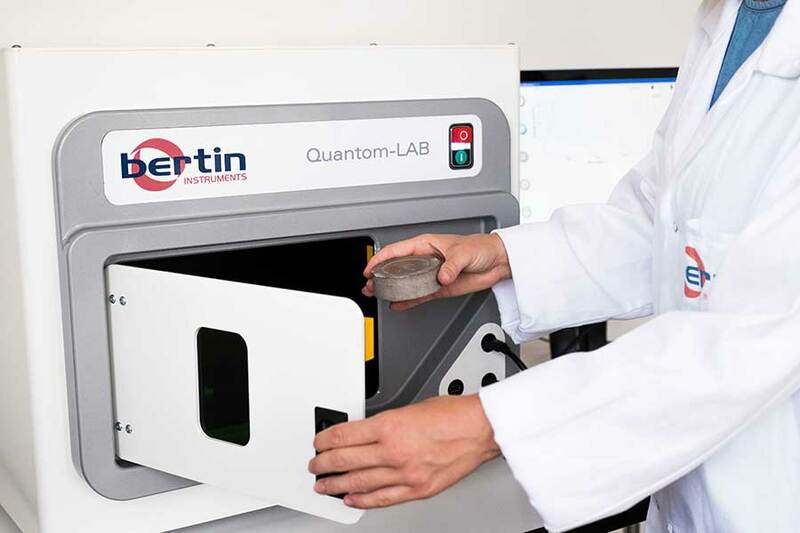 The new Quantom-LAB easily analyzes solid and liquid samples without preparation. Based on Laser-Induced Breakdown Spectroscopy (LIBS), the device gets a very fast and accurate response for all elements in the periodic table, even the lightest (such as Li, Be and B), in a few seconds. This technology uses the atomic emission spectroscopy (AES) of a plasma created by a laser pulse. It covers applications such as trace detection, matrix identification, element quantification or mapping of samples, down to ppm level. 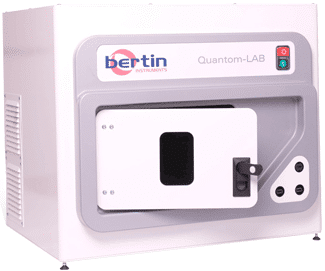 Quantom-LAB includes a smart software with advanced chemometry and database for spectral processing, and an intuitive and user friendly interface with a 17″ screen. Routine application can be created by uploading embedded applications. x,y,z motorized stages. Gas flow option for O and N analyses. 396 x 232 x 131 mm. Quantom-LAB instrument allows to analyze all elements detectable within a few seconds, without sample preparation. Its advanced chemometry software and database allows for identification, classification and quantification. Quantom-LAB includes motorized stages for mapping or averaging on several spots. Its achromatic and collinear focusing head is patented. The integration of a DPSS laser with low beam divergence allows for high fluence and high field of view, with a low maintenance. The Quantom-LAD is Air cooled and includes a smart and intuitive interface for users’ ease of use. Embedded applications can be installed in option. 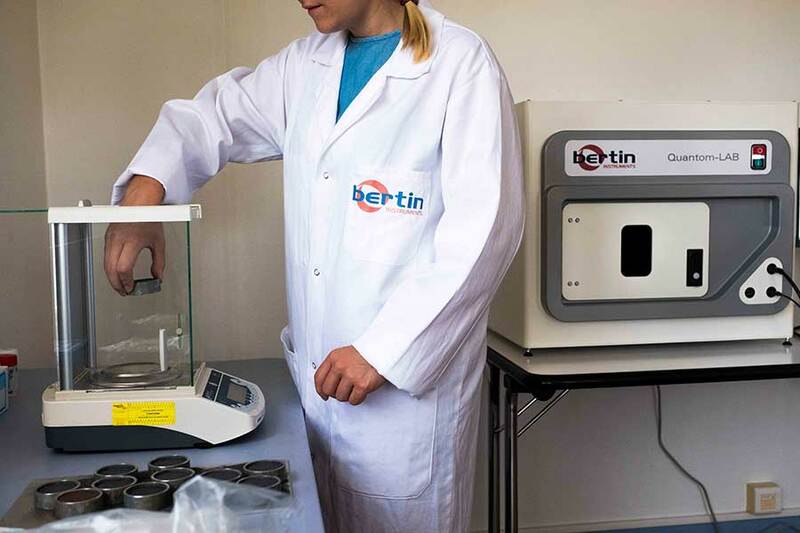 This technology is ideal for pollutant detection, matrix classification, concentration measurement and elemental mapping. 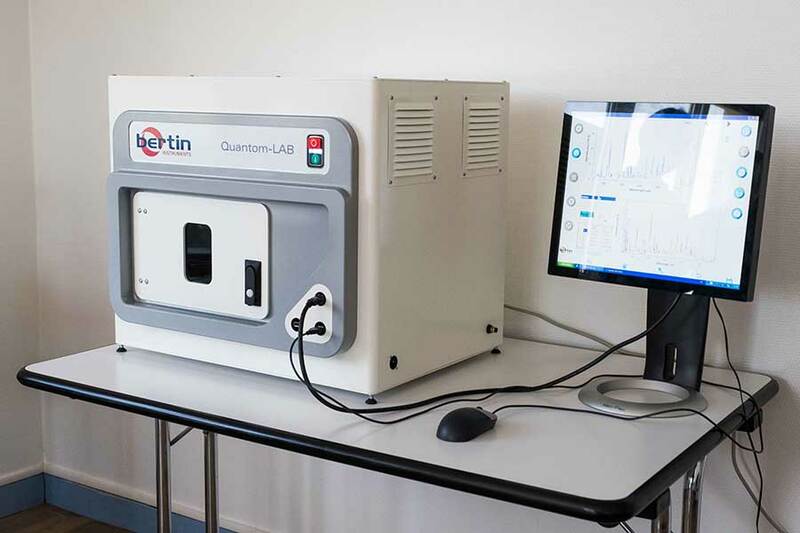 The Quantom-LAB includes a chemometric software and a database. Using the LIBS technology allows to quickly determine the atomic composition of a stone, for example during the analysis of cores. It also allows mineral classification and the detection of rare metals.